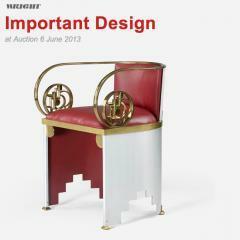 Wright's Important Design auction on June 6, 2013 celebrates the most significant designs of the 20th century. The second DeTnk report emerges at an interesting time for collectible design. On the one hand, the financial crisis appears to be deepening, with consequences for discretionary spending likely to be felt globally. On the other, the art market seems to rise ever higher above the fray, drawing the wealthy to invest with increasing enthusiasm in what appears a safe haven for capital. 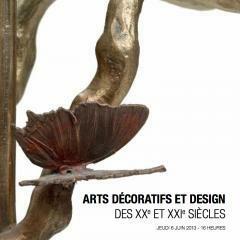 On Thursday the 6th on June 2013 Pierre Bergé will present a sale of 21st Century Design. 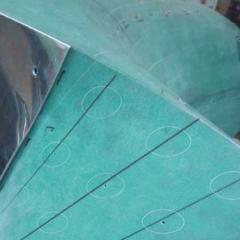 Lots offered include a breath of items ranging from modern to contemporary design. 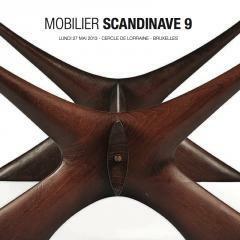 On Monday the 27th of May 2013 Pierre Bergé will present a sale of Scandinavian Design. While this auction presents design objects at significantly lower price points, it will be interesting to see if it is able to pull the same amount of enthusiasm seen at the recent Scandinavian Design Auction at Wright in Chicago - which brought in a total of $1.5 million. 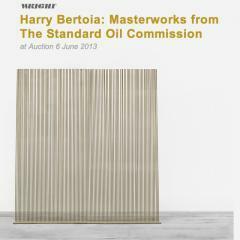 Wright is delighted to present Harry Bertoia: Masterworks from the Standard Oil Commission on June 6, 2013 at 12 pm central. 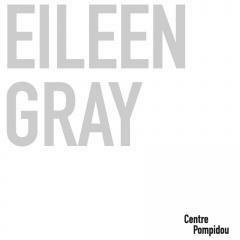 These works have never before been presented at auction. In 1974, Harry Bertoia was commissioned by the Standard Oil Company to create sculptures for the plaza of their building, a modern skyscraper designed by architect Edward Durrell Stone. 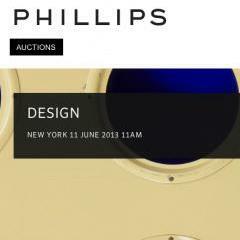 On June 11th 2013 at 11 am Phillips will present there summer design auction featuring 115 lots. 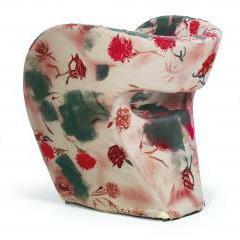 The collectible design objects will be on view from the 5th of June at 450 Park Avenue, New York City. 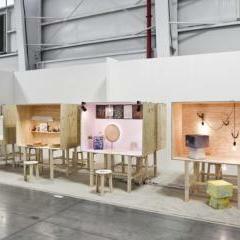 The venture started life as a European project; Lauber and Jeglinska invited six designers, whose work they were familiar with, to take part in the inaugural show presented during the London Design Festival 2012. Ifeanyi Oganwu could pass for a designer of his time. 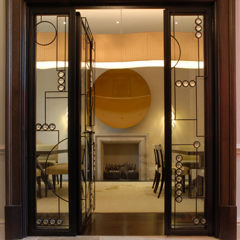 Using digital design and novel fabrication techniques to develop his projects, this London- based affable young designer was born in nigeria and trained in the best schools of architecture across the globe. Wright’s Scandinavian Design auction is still the only sale in North America dedicated exclusively to works from Finland, Sweden, Norway and Denmark. 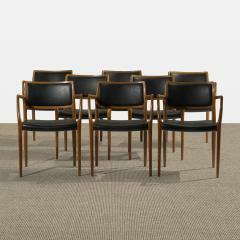 Comprised of 229 lots, Scandinavian Design achieved over $1.6 million, selling 79% by lot and 86% by value. 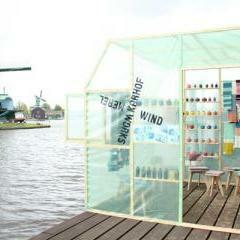 Windworks, the latest project of Merel Karhof, just opened last week on the Dutch National Mill Day at the well-known and typical area of the Zaanse Schans, in the north-west of the Netherlands. 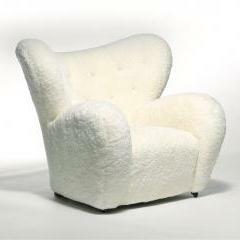 Flemming Lassen’s upholstered easy chair, “Den trætte mand” (the tired man), is one of the main attractions at Bruun Rasmussen's summer international design auction, which also offers an impressive range of Axel Salto’s sublime stoneware and a number of Børge Mogensen’s original pieces of furniture from his own home in Gentofte. 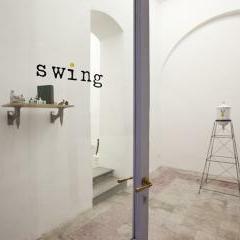 SWING Gallery is pleased to announce HOCKETY POCKETY, an exhibition project born out of the partnership between the designers Andrea Magnani (Faenza,1983) and Giovanni Delvecchio (Cesena,1981). Even though a great variety of objects at the design auction on 14th May 2013 claim to be seats of one sort or another – ranging from the fin de siècle to contemporary prototypes – many of them are considered to be art, with only a fine line dividing the everyday object from the work of art. Design collective Nucleo is glad to present the latest work designed for Nilufar Gallery. 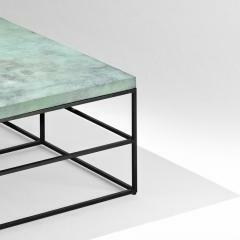 A limited edition coffee tables, exhibited during Milano Fuori Salone 2013.